This time it is different, and could be very painful for Israel. Right now it looks like any of the past forgotten and failed agreements between Hamas and the Palestinian Authority, but it is NOT. Palestinian Authority President and Fatah leader Mahmoud Abbas finally arrived at the 21st century. He understands now that “resistance” is much more effective through political pressure than with primitive “pipe rockets”. Given the condition of Hamas, it was not hard to convince the Hamas’ Prime Minister Ismail Haniyeh that applying political pressure by using the “liberal left” in Europe and around the world to boycott Israel and pushing on the Apartheid button would be more effective. Then they can apply to the UN and become a recognized, fully fledged nation, will do much more “damage” to Israel than those primitive rockets . just imagine what the settlements will look like being in the heart of a “real” nation. The palestinian Authority could not do it without representing ALL the Palestinians, and that is the main reason for the agreement. I hope the Israeli leaders understand the full complexity of the Palestinian unity deal. 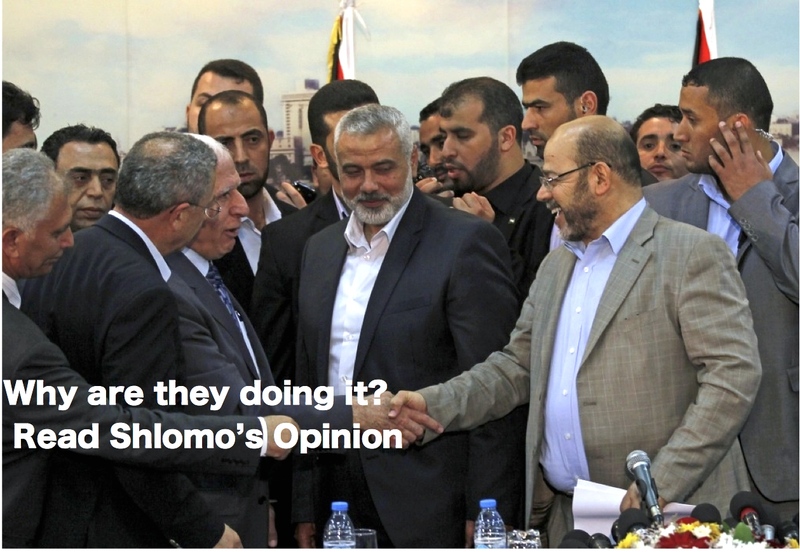 Have your own analysis of the Palestinian unity deal? Leave it in the comments below.